Anti-gun Florida teen David Hogg, the Marjory Stoneman Douglas High School student who has become a media darling since February’s mass shooting, preached gun control during an appearance Tuesday at Southern Connecticut State University, declaring his intent to work with “the new Congress” in 2019, according to the New Haven Register. Anti-gun teen David Hogg spoke at a Connecticut university Tuesday. Over the past five years for which data is available (2013-2017) the firearm-related murder total has not exceeded 11,500, although there has been an uptick in the number of such murders. “Young people can change the world as long as they believe in themselves and never give up,” Hogg told the audience. These are the young people whom retired Supreme Court Associate Justice John Paul Stevens encouraged to repeal the Second Amendment back in March. He retired in 2010 to be replaced by Elena Kagan. 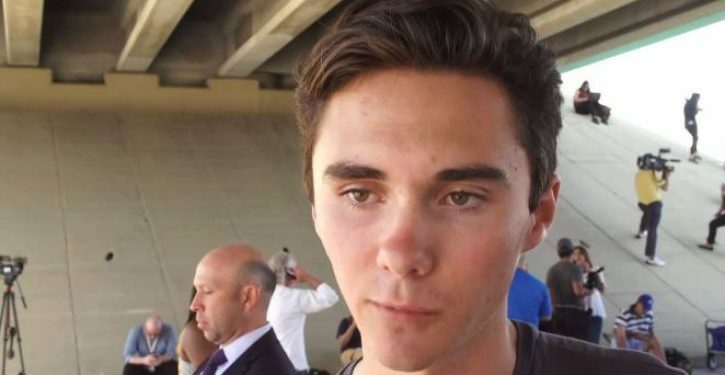 The newspaper noted that Hogg “became a gun control activist after his high school was the scene of a mass shooting Feb. 14.” He is identified as a co-founder of the “March for Our Lives” student movement. He has become the face for anti-rights activism who is “trying to keep the conversation alive” even though the gun debate flows and ebbs whenever there is a high-profile shooting. Hogg’s group, according to the newspaper, advocates for so-called “universal background checks,” a ban on “high capacity” magazines, research on so-called “gun violence” and mandatory “safe storage” and theft reporting. Rights activists contend that none of these measures appear to prevent violent criminals, but only law-abiding firearm owners.